1. 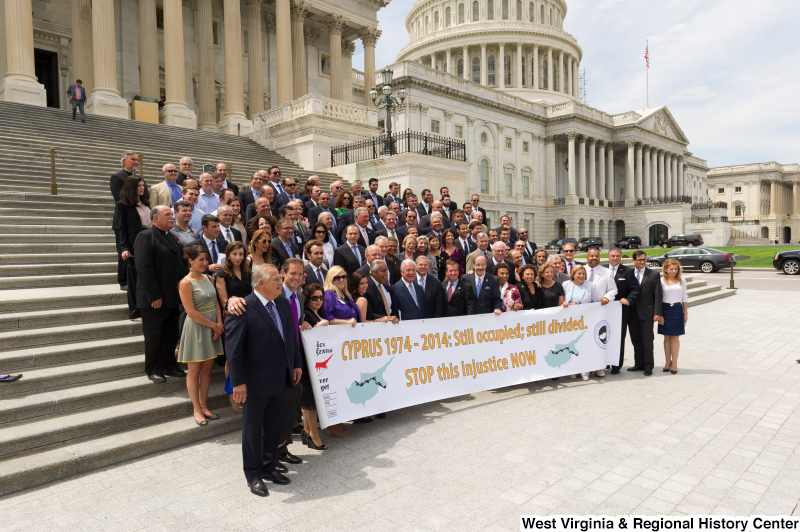 Photograph of Congressman Rahall on the steps of the Capitol Building with a large group of people behind a banner labeled "CYPRUS 1974-2014: Still occupied; still divided. STOP this injustice NOW"
Photograph of Congressman Rahall on the steps of the Capitol Building with a large group of people behind a banner labeled "CYPRUS 1974-2014: Still occupied; still divided. STOP this injustice NOW"
Congressman Rahall stands on the steps of the Capitol Building with a large group of people behind a banner labeled "CYPRUS 1974-2014: Still occupied; still divided. STOP this injustice NOW".